Product prices and availability are accurate as of 2019-04-21 13:34:23 UTC and are subject to change. Any price and availability information displayed on http://www.amazon.com/ at the time of purchase will apply to the purchase of this product. 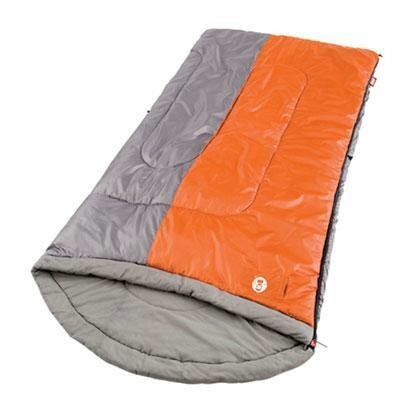 We are happy to offer the brilliant Coleman Nimbus Large Warm-Weather Scoop Sleeping Bag. 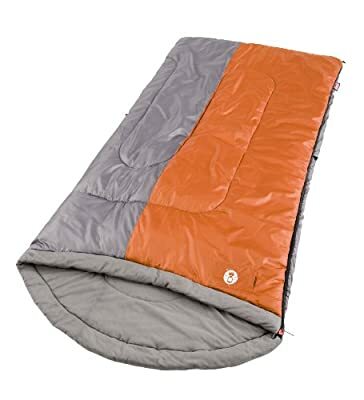 This warm-weather sleeping bag is designed for temperatures between 40 and 60 degrees F. The product has a durable polyester cover with soft tricot liner and 4 pounds of ThermoTech insulation. The ComfortCuff keeps your face comfortable and the FiberLock design keeps insulation from shifting. The ThermoLock construction prevents heat loss through the zipper. A QuickCord allows for easy, no-tie closure and sleeping bag is designed for campers up to 6' 4" tall. 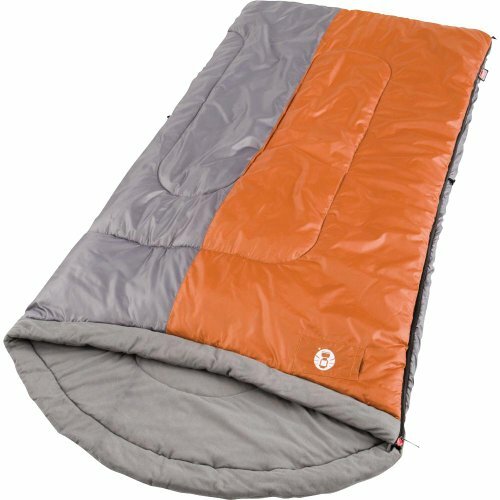 The Coleman Nimbus Scoop Sleeping Bag is great for warm-weather outdoor camping. It-Inchs produced big & tall sizes, measuring 39-Inch broad by 84-Inch long and fitting a lot of people up to 6-Inch4-Inch. The distinct scoop shape makes a comfortable headrest, keeping your head and pillow off the ground. The Nimbus is durably constructed of a polyester cover over a soft tricot liner, with 4 pounds of ThermoTech insulation to keep you comfortable down to 40 ° -60 Degree Fahrenheit. The Nimbus showcases the QuickCord storage system for easy storage-- no tying needed. Coleman-Inchs ComfortSmart innovation implies your sleeping bag is packed with attributes to keep you warm and comfortable: ZipPlow plows fabric away from the zipper to prevent snags; Convenience Cuff surrounds your confront with softness; FiberLock avoids insulation from moving keeping you warm and increasing toughness; ThermoLock reduces heat loss through the zipper, keeping you warmer; Zipper Glide tailoring permits smooth zipper operation around corners; and Roll Control locks the bag in place for simpler rolling. Stay relaxing on warmer nights with the Coleman Nimbus huge sleeping bag. Designed for temperatures between 40 and 60 degrees F, the Nimbus is ideal for the summer season when the mercury rarely dips below freezing. The Nimbus is durably constructed of a polyester cover with a soft tricot liner, with 4 pounds of ThermoTech insulation to keep you comfortable. The bag also includes a groundbreaking contoured headrest, which keeps your head on the bag and the bag off your face. 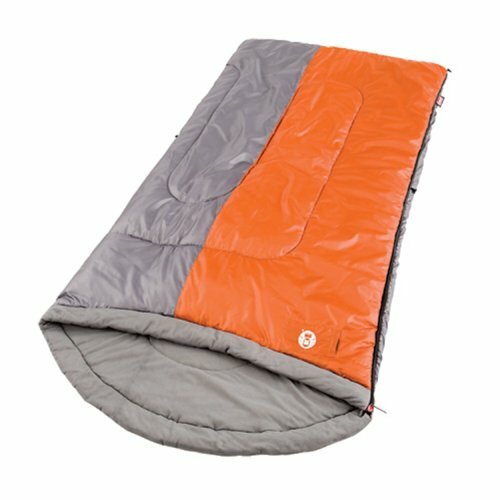 To guarantee all-night snugness, the Nimbus is equipped with Coleman's ComfortSmart innovation, that includes such attributes as a ComfortCuff that surrounds your confront with softness, a FiberLock design that avoids the insulation from moving, and a QuickCord for easy, no-tie closure. And to keep heat from escaping on cooler nights, the Nimbus includes a ThermoLock building that avoids heat loss through the zipper. Other attributes consist of a ZipPlow that plows fabric away from the zipper to prevent snags, a Roll Control that locks the bag into place for simpler rolling, and ZipperGlide tailoring that enables smooth zipper operation around the corners. The Nimbus determines 39 by 84 inches and fits campers up to 6 feet 4 inches tall. Machine-washable in commercial machines, the bag carries a five-year warranty. View YouTube Video "Sleeping bags - warm weather"